E Commerce Website Design – Why You Should Hire a Professional? Seeing the current situation of internet marketing and multitude of websites in the internet, having website that is different and sets you apart from the rest is very important. Even though it is very possible to create website with your own skills, but it is highly recommended to take help from highly experienced service provider in order to survive in the competitive age of World Wide Web. A professional service provider can turn your ordinary website into a professional website and more over. A professional Ecommerce Website Designer helps in gathering potential customers towards your website and converts visitors in to paying customers. Here I will list few reason that why you should get professional assistance in designing your website. Only a professional website designer can analyze the structure of your business or organization and deliver results according to the needs. With the growing flexibility, you can easily harvest benefits out of the given situation. The match able solutions given by experts could be applied by the entrepreneurs with the help of the improvised technology in their firms. Creating an effective and efficient website is not a child’s play, and you need to have the professional expertise to develop what is in demand these days, and you cannot achieve this specialty in the absence of professional services. Only a competent service provider will deliver you the expected results on time thus saving your money and precious time. Specialists are perfect if you want to design your website and the fee charged is also nominal. Technical assistance is one of the most sought- after qualities by the businessmen, and many are vying to create a website that is user friendly as well as boasts of the strong technical advantage possessed by it. Only professional Ecommerce Web Designers know how to develop a website that is preferred by the online audience because of its no- nonsense USP’s. If your website is not technically sound then forget about the dream of making it to the top position. Start up organizations is not aware of the benefits associated with the integrated marketing concept that is why they get lost in the crowd. In such cases, it is critical to take help from the professional as to increase your sales and learn marketing techniques. This way you would be able to achieve what was impossible in the past, and will gain loyal customers. Now, you must have understood why you should go for professional help in order to get familiar with the knowledge of marking tools and techniques. Only a professional can make you aware of the current trends and the statistics of the competitors. 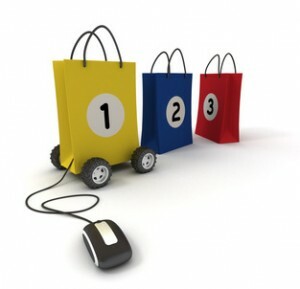 Website Design Toronto specializes in ecommerce and can help you create and effective site. Hire a professional and enjoy the windfall gains.